Killin Mountain Rescue Team | Winter Safety. Short daylight hours can make it difficult to navigate safely when light fails. Make sure you have a map compass, and torch with you. Rescue services find it very challenging to find you in the dark, if you get into difficulty and cannot call or signal for help. A person motionless wearing dark clothing is very hard to see on a hillside. Mobile phone apps are useful. However in cold weather the battery loses power fast, and without a signal you cannot call for help. 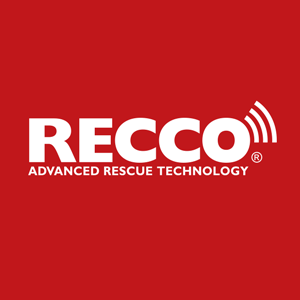 Recco, a system designed for avalanche rescue, to work alongside avalanche transceivers, in ski areas, is now selling its Recco reflectors as a stand alone item for you to attach to outdoor clothing. It can be very effective in locating people missing in remote areas, not just avalanche sites. Outdoor clothing suppliers are now fitting Recco as an option. Two reflectors are required to ensure it is visible to the detector. Another tool in the box to help keep you safe at a small cost of around £18 per reflector.